It is a myth that a good translation must cost a lot! We have been dispelling this myth for years by offering translations of good quality at a low price. Your translations into Polish and from Polish can be cheaper by up to 30% than until now! Our translation agency offers a wide range of translation services as well as verification and proofreading of Polish language texts. We specialize in translating all kinds of documentation that requires authentication (sworn translations), as well as in translations of specialized texts from many areas, e.g. : industry, technology, business, finance, law, marketing, and medicine. Especially developed procedures of ISO 9001:2009 helps us to be more efficient and effective. We have been examining the translation market and the pricing policy of our competition for years. Analyses show that our prices can be up to 30% lower than the average market prices while maintaining the highest quality. At the moment, when the dollar exchange rate is the highest in 13 years, and the Euro exchange rate is almost PLN 4.50, our offer is addressed mainly to foreign companies. By deciding to cooperate with our office, you can reduce your costs by up to half, and at such attractive exchange rates, you will gain an additional opportunity to save money. Take advantage of such favourable conversion rates in the currency market and follow the footsteps of a broad range of our fully satisfied customers. We encourage you to get acquainted with the extensive offer of our translation agency. 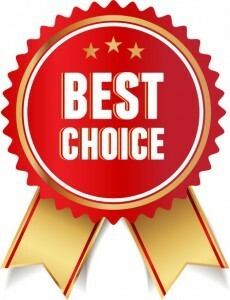 Appreciating you good choice and your trust in us, we give extra large discounts for regular customers – both to individuals and to business entities, as well as to institutional investors. Feel free to contact us – our staff are at your disposal.